We at MirrorWhite believe that customers should have complete control and knowledge about the product they purchase from us. 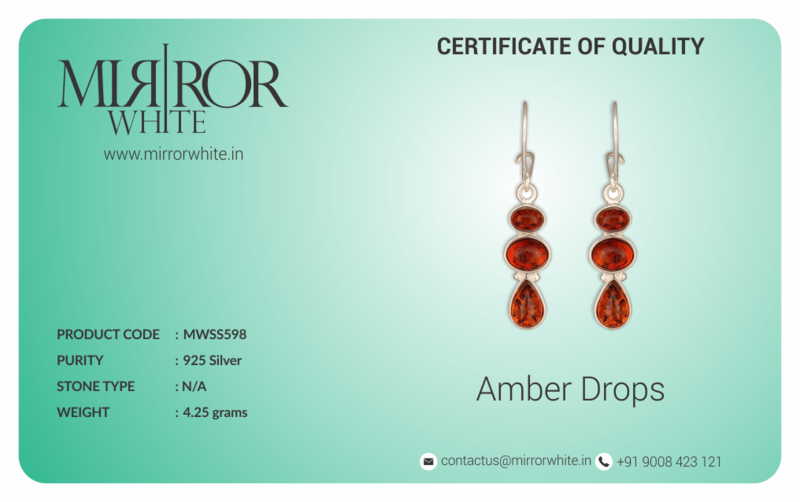 We go through a stringent process of certifying all our silver jewellery, so you can be rest assured that every material used in our jewellery is of top quality. Almost all our products will carry a stamp of 925 Silver. In very rare cases, the silver used will be a little less than 92.5% purity, which will be mentioned with the product details. 925 silver is another word for sterling silver. This certification is provided by the Bureau of Indian Standards, a third party certification body under the Government of India has been certifying the purity of Gold & Silver jewellery since 1947. This organization is internationally recognized and follows certification procedures specified by the ISO Guide 28 which provides the general rules for defining standards for product conformity. This is a certificate provided by us to state that the silver we have used is 92.5% pure and the rest is composed of alloys that provide the silver its strength. This is the international standard for silver jewellery, otherwise also known as Sterling Silver. We believe that jewellery made by hand is closest to the heart of the wearer. All MirrorWhite jewellery has been painstakingly handmade by artisans across India & South-east Asia. The beauty and intricacy of handmade jewellery cannot be compared to that of machine manufactured ones. We certify that all our products are made by hand and what you're receiving is a piece of art which no manufacturing process can replicate. In effect you are wearing a piece of unique art.